When we think “collage,” we don’t necessarily think about candles. But, in fact, candle collages have a way of making a space feel much more luxurious, welcome and suave. From corner clusters to mantle mixtures, candles can transform a room into something much more warm and delicately stylish. Let’s take a look, shall we? It’s not too big, too overpowering and it doesn’t take up too much space. 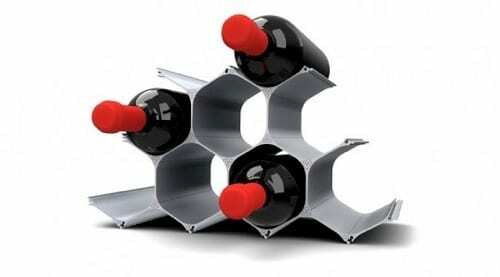 Instead, this geometric, slick design is neatly dressing a side table, dining room buffet or a welcoming in the foyer. It has a bit of an artistic appeal but keeps a space fresh and touchable, rather than stark and frigid. Add a bit of contemporary appeal to your traditional home by adding a helping of candles to your makeshift mantle. Even though this space has a bit of rustic vibe, the matching candles of different sizes brings about a warm glow and sleek, sharp design. For something a bit more upstyled and romantic, add your candles to an already existing collage, like this mixed and matching centerpiece. It’s perfect for entertaining guests or acting as a place holder as the room is waiting to be used. Again, the candles give the space a more light-hearted, airy feel but still very rich and warm when dressed in metallic shades. Use your candles in some unsuspecting places. Next to the bathtub or hidden away in this fireplace make for a design-worthy, unique piece of home decor. Use them in a cluster, or a collage of sorts, for a more artistic way to style the space. This porch such does have a sophisticated and chic style. The only decor it needs is the sensual flair comes from the two candle collages on the tables. They give off a warmth, welcoming feeling and a contemporary theme as well. And it’s so easy to pull off in any room! If you’ve got the shelving, use it and think outside-the-box. Instead of decorating each and every shelf with mismatched and misplaced pieces of decor, use candles! Get creative and design the wall as you like, but keep a contemporary, easy theme in mind when placing the accents. Here, they used candles inside of lanterns for a matching, balanced design.